Switzerland is an ideal country for tourism as it has much to offer in the way of tourist attractions. Even immigration to Switzerland is worth a try as one would like to settle in country that has beautiful landscape, the awesome Alps mountain range and green valleys and parks to go for hiking. Nature is at its best in Switzerland. Opulentus is there for you to get a visitor's visa or perhaps help you in immigration process. 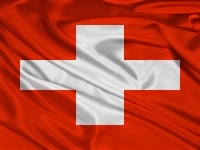 Our experienced and well qualified visa consultants know all there is to know about immigration to Switzerland. A friendly and professional approach is taken by our staff to deal with various aspects concerning either a temporary visit to Switzerland or to settle down there permanently. The Visa processing will be made less cumbersome since our consultants are well equipped to explain the nitty-gritty of visa processing well. Make a date with our visa consultant and clarify all your doubts about various visa options for immigration to Switzerland or perhaps a short visit only and fly away in no time. Opulentus has been in visa processing business for the past decade and settles issues pertaining to immigration to Switzerland as well as to other countries very professionally. The Visa Consultants in Opulentus take their work seriously as they want the best for their client, that is, an easy and smooth transition from one country to another. Opulentus believes in less paper work and quicker processing of application. They extend much support at every of visa processing and confidently deal with any problems that may rise during the immigration process. Next time you plan a trip to any part of the world or want to just holiday in another country other than yours, then take some time and visit Opulentus for professional advice. Opulentus knows what visa is required by you, whether you need a student visa, or a tourist visa or perhaps a work permit whatever may be your choice, the fact remains that visiting or settling in Switzerland will undoubtedly benefit you in many ways and enrich your whole personality.